We have EIGHT standard layout designs you can choose from. All layouts are a total of 96 pages starting late January and ending late December. If you prefer an alternative layout, we can print custom designs tailored specifically to meet your requirements. All layouts are available in A5 or B5 except the Reading Layout which is available in B5 only. This layout incorporates a functional generic style offering students optimum writing space. It includes public holidays and government term dates. This layout incorporates a functional generic style offering students optimum writing space. 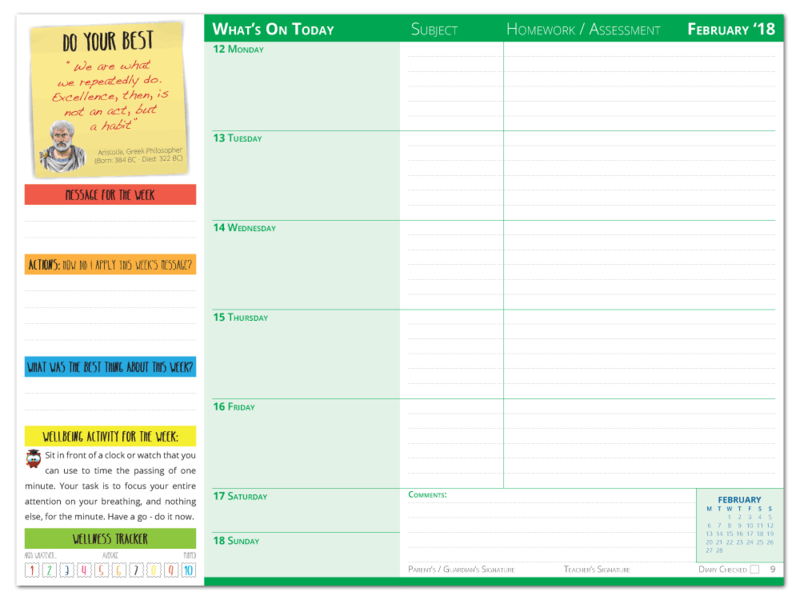 This layout allows for optimum writing space for parents and teachers to communicate. This layout allows for optimum writing space for parents and teachers. 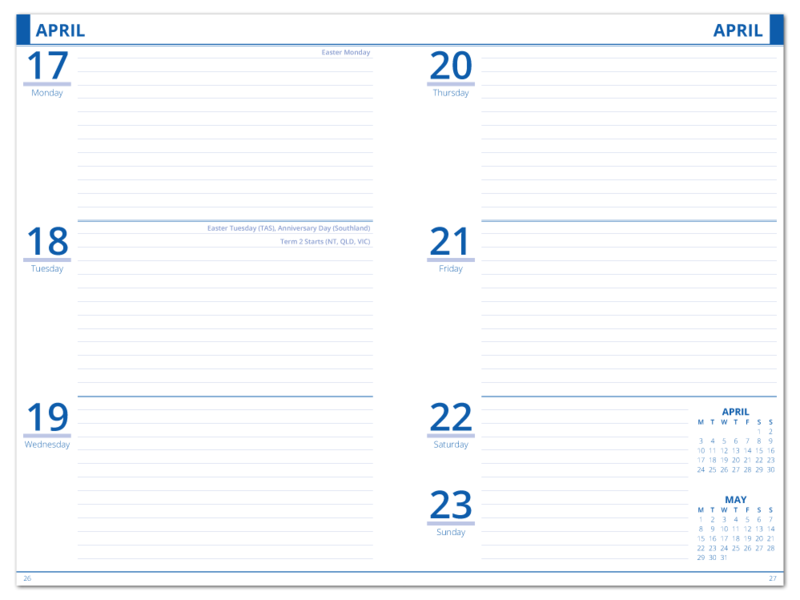 This layout incorporates images throughout the main section of the diary. The theme is updated each year and 2017 is to be “Interesting and Unusual Plants”. 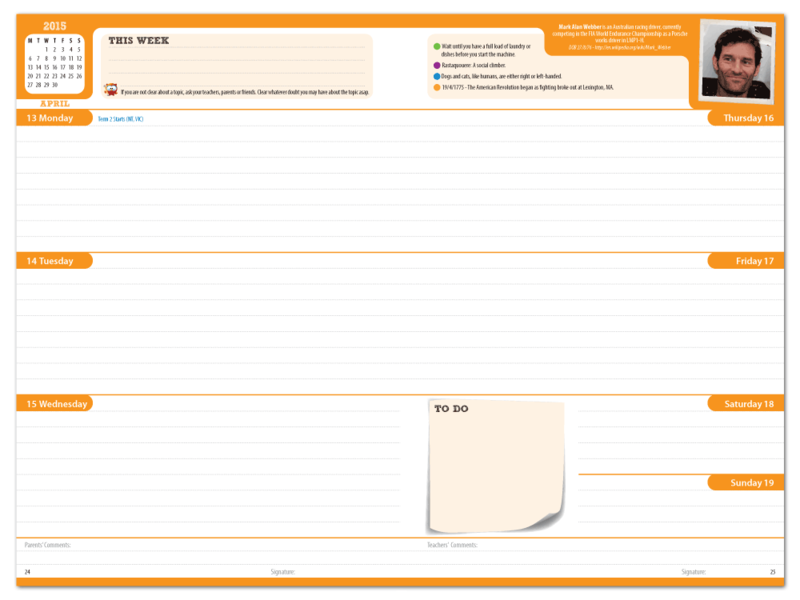 This layout incorporates images throughout the main section of the diary. The theme is updated each year. 2019 is to be "Technology". 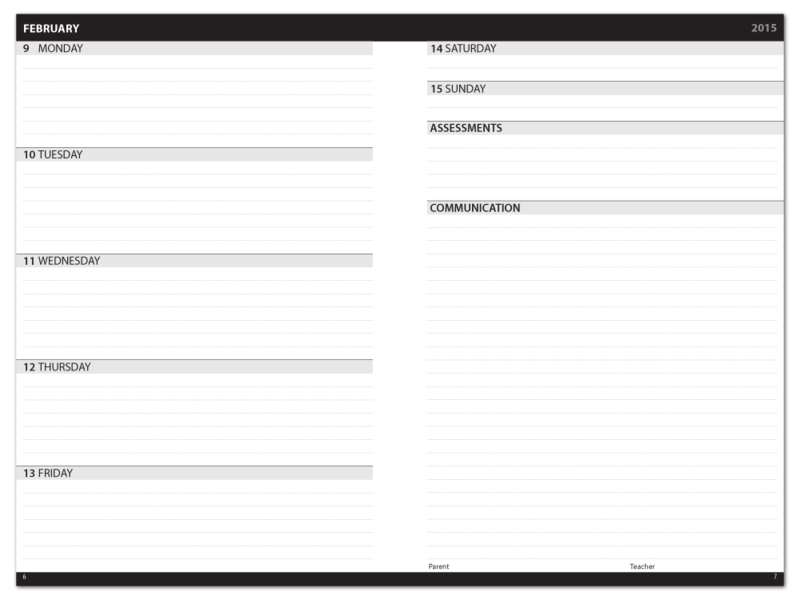 This layout comprises of a clean and crisp design that includes all the essential features needed in a diary. 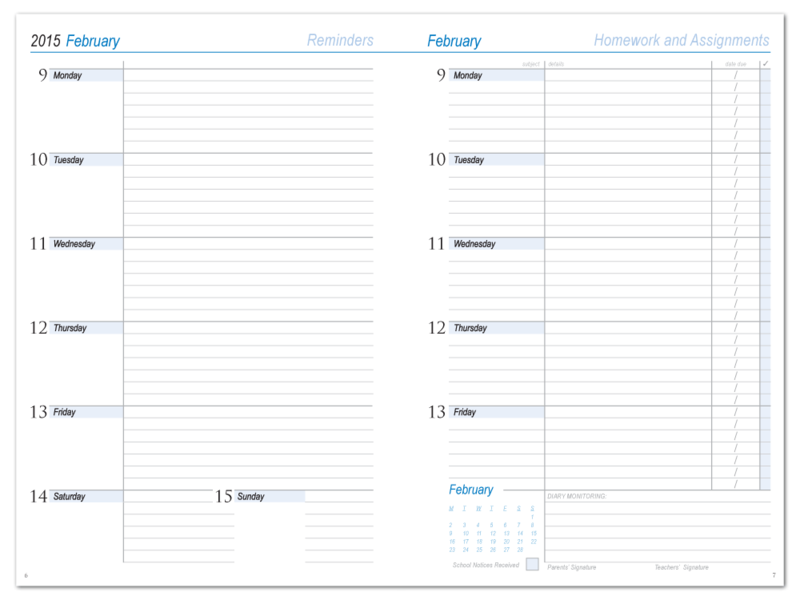 The contemporary layout is great for those wanting to include date entries and specifically suited to older students such as those in tertiary studies. 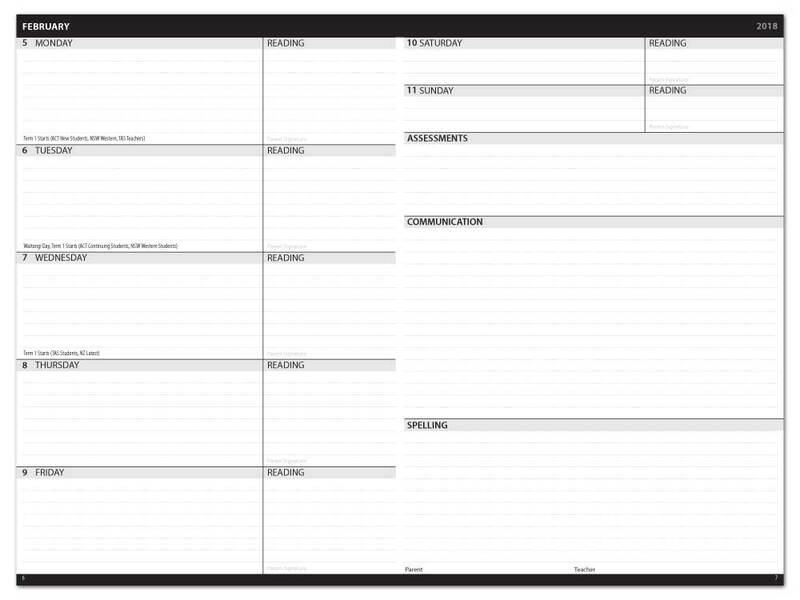 This layout comprises of a clean and crisp design that includes all the essential features needed in a diary. This layout focuses specifically on encouraging student’s to focus on learning better study habits. It includes a weekly study focus on how they can improve their studies. It can also work well with our integrated Wellbeing program. This layout encourages the development of great study habits. This layout focuses specifically on a student’s wellbeing and works great with our integrated Wellbeing program. It allows for students to write the school message of the week that is taught at their regular Wellbeing lessons. If your school has a known schedule in advance, we can print your school’s Message for the week as Date Entries. This layout works well for schools that look to have a wellbeing focus. This layout is ideal for Primary Schools that are focusing on Reading and Spelling. It is an extension of our Communication layout that allows for optimum writing space for parents and teachers to communicate. Available in B5 only. This layout focuses on students who undertake a reading program at school. 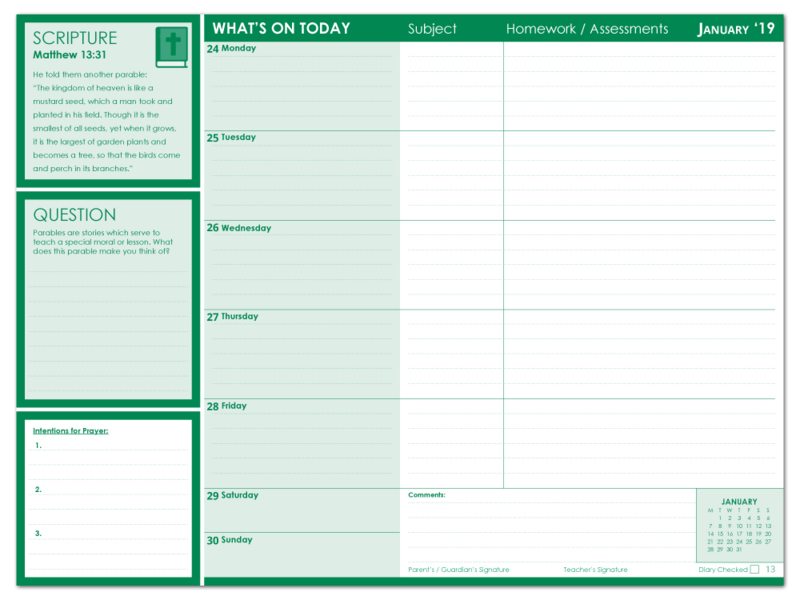 This diary layout focuses on enabling student interaction whilst encouraging spirituality. The design allows flexibility for your school to incorporate weekly prayer intentions (as appropriate to your needs) within an allocated space seen daily by students. Each week also includes a short piece of scripture with an opportunity for students to reflect on the messages conveyed. 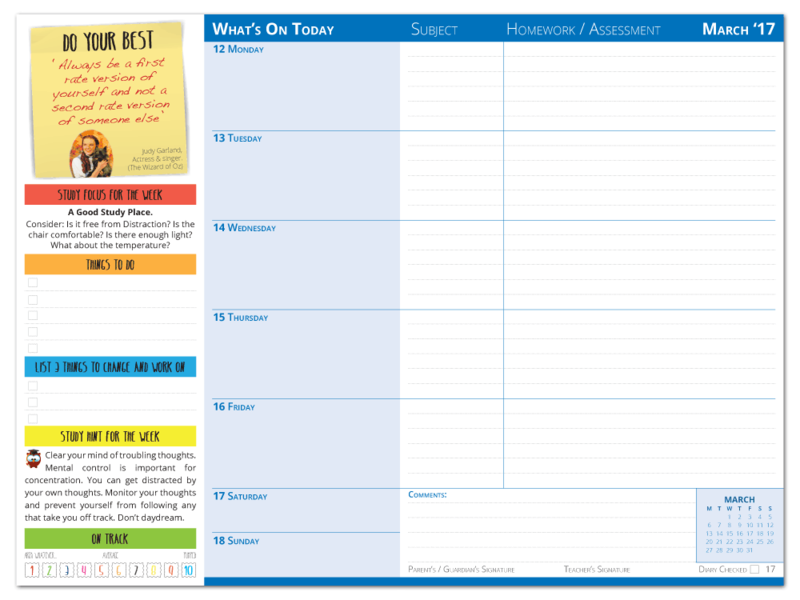 This layout includes scripture content that is suitable for Catholic and Christian schools.